MDMA (3,4-methylenedioxymethamphetamine), more commonly known as Ecstasy, is a synthetic psychoactive drug similar to the stimulant methamphetamine and the hallucinogen mescaline. Ecstasy is a popular drug among teens because it creates feelings of euphoria, increased energy, emotional pleasure, and can have hallucinatory effects, which include distortions in time, perception and tactile experiences. Ecstasy is taken orally, typically as a tablet or capsule. Originally, it was popular among Caucasian teens and young adults in the nightclub or rave scenes, but in recent years, the profile of the typical Ecstasy user has broadened to include a wider range of ethnic groups now using the drug. According to the National Institute on Drug Abuse, the National Survey on Drug Use found that in 2009, an estimated 760,000 Americans, or 0.3 percent of the population, aged 12 years or older used Ecstasy in the month prior to the survey. Ecstasy is one of the most popular recreational drugs among teens, second to marijuana. In addition to the draw of its mind-altering effects, it is also popular because it is so easily obtained by teens, even though it is an illegal drug. While teens who use Ecstasy infrequently may not become addicted to the drug, prolonged or regular use can result in the body building a tolerance to the drug. As your body builds this tolerance, you require more of the drug to achieve the same effects, and this leads to an addiction. When a dependency or addiction has formed, teen Ecstasy addiction treatment is necessary to stop using the drug. Most teens will exhibit signs of Ecstasy abuse. These signs may include, but are not limited to, late nights, problems at school such as poor grades or skipping class, irritability and insomnia. If you suspect that you or someone you know is addicted to or abusing Ecstasy, we can help. Call 1-888-287-0471	Who Answers? to discuss your options for teen Ecstasy addiction treatment. Symptoms of withdrawal may also exacerbate other medical conditions not related to Ecstasy use. Withdrawal symptoms related to detox may be intense in the first days after you stop using Ecstasy, but they will gradually fade the longer you abstain from the drug. It is recommended that teens detox from Ecstasy in a medically supervised environment, such as a detox center or hospital. In these facilities, doctors and medical personnel are on hand to help ease withdrawal symptoms and offer support. Ecstasy’s effects are hard to resist, but it helps to remember the negative effects it brings as well. According to the CRC Health Group, due to the way that Ecstasy interacts with your brain’s ability to create and process serotonin, teen Ecstasy abuse can cause serotonin deficiencies, which can lead to depression, confusion, anxiety, panic and sleep problems. In addition to these issues, Ecstasy abuse can also cause convulsions, paranoia, psychosis, and long-term cognitive impairments such as memory loss. The effects of Ecstasy can be permanent with prolonged or heavy use, so it is necessary to seek treatment for an addiction to this drug. If teen Ecstasy addiction is a concern for you or someone you know, we can help. Call 1-888-287-0471	Who Answers? to discuss your options. 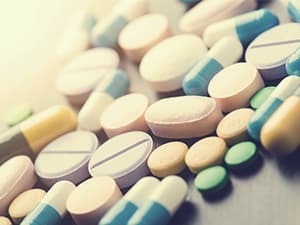 According to the National Institute on Drug Abuse, there isn’t one specific treatment or program used for Ecstasy abuse and addiction, because each treatment must be customized to suit the individual needs of the patient. The most effective treatments for drug abuse and addiction in general include cognitive behavioral therapy that modifies your thinking, expectations and behaviors relating to your Ecstasy use. Treatment for teen Ecstasy addiction may require several approaches. This is because it isn’t just your body that becomes dependent on the drug. Addiction is also a psychological or emotional process, and this aspect must also be treated. Teen addiction treatment and rehab focuses on finding new, healthier habits to replace the old ones, and providing the support necessary to continue on the path to recovery. When you enter into teen Ecstasy addiction treatment, detoxification is usually followed by rehabilitation. Rehab includes a range of programs, services and support that is often tailored to each teen and their family. There are typically two options for teen rehab: inpatient or outpatient centers. Outpatient rehab is a program that allows you to visit the treatment facility each day, but return home at night. 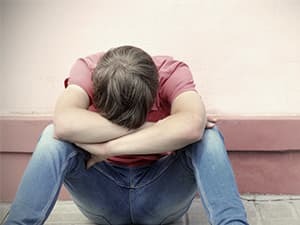 Teens do not remain in treatment 24 hours a day, which may not always be the most effective treatment option, particularly if dealing with long-term Ecstasy abuse. In an inpatient rehab center, you remain under constant medical supervision 24 hours a day, seven days a week. In many cases, this is the most effective rehabilitation approach to take because it ensures that you have the resources and support necessary to ensure long-term recovery from your Ecstasy addiction. If you suspect that you or someone you know is addicted to or abusing Ecstasy, we can help. Call 1-888-287-0471	Who Answers? to discuss your treatment and rehabilitation options.